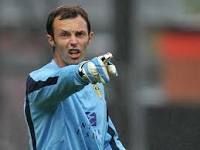 Bolton Wanderers have signed former Manchester united goalkeeper Paul Rachubka on a one-year contract. The 33-year-old, who has also had spells with Huddersfield Town, Blackpool, Leeds and Oldham Athletic, has been signed to provide competition for Ben Amos. American-born Rachubka made one appearance for United in the 2000 FIFA World Club Championship. Bolton Wanderers have signed former Manchester United goalkeeper Paul Rachubka on a one-year contract. The 33-year-old, who has also had spells with Huddersfield Town, Blackpool, Leeds and Oldham Athletic, has been signed to provide competition for Ben Amos.